I’ve had the pleasure and good fortune all through my career in radio to work with some incredible talent and am also proud to say that a bunch of them are deservedly in a Radio Hall of Fame or two. Of course, if you’re Ron Chapman, then you’d have to make that three. I’m not just talking about the record rollers; I’m also talking about great newscasters like Greg Tantum in San Diego, John Erickson in Portland, Bill Trebilcoe in Winnipeg, and Bob Durant in Ottawa to mention a few. However, one of the more creative ones I ever worked with was John Evans at K101 in San Francisco. (pictured on top) John currently anchors the news at KCBS, but back in our day, he not only did the news in the morning he was also the News Director. I always enjoyed John’s newscasts because they were mostly full of surprises. One morning I remember hearing construction noises start creeping into the end of a news story. As the sounds got louder and wondered what the hell was happening, John finally said, “What you’re listening to is what’s going on right now at (street address) where they are tearing down one of San Francisco’s more historic buildings to make way for the future.” Or sometimes you would hear the sound of pouring rain and John with his conversational style, saying, “This is exactly what you’re going to experience during your drive this morning.” Or it would be kids playing in a playground or maybe the sound of seagulls because the story concerned Fisherman’s Wharf. K101 at that time was always full of surprises and John was one of the better ones. In fact, whenever I heard John do the news, he made me see what he was saying. Speaking of Hall of Fame radio guys, we had a couple of them in the news department of WIBC/WNAP named Fred Heckman and Tom Cochran. They made the winning easy in Indy. (pictured above) However, the one I loved to watch doing the news was the great Lou Palmer (pictured right above) who was Chuck Riley’s afternoon newsman. Lou would prepare his newscast every day by going through the reams of news copy and then make some crib notes on some 4×6 index cards about stuff that he found of interest. When the news intro fired, Lou would adlib his way through the entire newscast using his staccato type delivery while barely glancing at his notes. His booming voice sounded like he was angry at us as he made frantic stabbing motions in the air. He made you deathly afraid of not listening. Incredible! The person though who took the word adlibbing to new heights was Andy McCollum of KVIL in Dallas. We teamed Andy up with Bob Morrison on Chapman’s show in the morning where they sounded fantastic. Bob like Lou Palmer had the voice of God, so his main job was to announce the beginning of World War III should it come to pass. Andy, on the other hand, had that warm, folksy sound that could convince you that everything was gonna be ok, so not to worry. I loved the way Andy crafted his words and the way he also paused so that you could think about what he was saying. In fact, he sounded so good that when RKO started a younger hipper news network out of New York, they hired Andy to anchor it. However, New York was where Andy ran into a little trouble because he had to deal with the network lawyers. The lawyers’ job was to check all the news copy for legalities before it could be cleared to air. Unbeknownst to the rest of us, Andy had a reading problem which the network lawyers quickly discovered when Andy started adding words to the newscast that they hadn’t approved. It turned out that all those little sidebars that were filled with pauses and phrases that I loved so much were just stuff Andy made up. He used them as a stall so he could find his place again. I love how politicians refer to voters as the Hispanic vote, the Black vote, the Asian vote, the Jewish vote, the Youth vote, etc. This would insinuate that they think that these folks will always vote the same, surely that’s not true? I wonder who it was that came up with the concept that lawyer can lie about their client’s guilt? Had we killed them all as Shakespeare suggested, maybe it really would be the “Wonderful World” that Louis Armstrong wonderfully sang about. How come the black officials who claim to represent their brothers and sisters, live in white neighborhoods? Asia doesn’t seem to have an immigration problem; maybe we should do whatever they’re doing? Only America craves world approval. I’m not a big fan of Trump, but I am a fan of his strategy. He distracts the liberals with outrageous statements and then does what he planned on doing which goes unnoticed. I wonder why my fellow Canadians don’t bash Trudeau much more? (He appears to be pretty lame) Hell, when Harper was in power, they bashed him as they do Trump now. Is that just a liberal thing? Nobody is smart enough to be able to convince a stupid person that they’re dumb. People seldom quit their job; it’s really their bosses they’re leaving. Men just want money, women lust after it. Unfortunately, if you took the rich people’s money and gave it to the poor, they would still be poor, but now so would the rich. The middle class has had most of the money for a long time, but we’re tired of giving it away to the rich & poor. With 1.5 million charities registered in the US, how can there possibly be any poor people? Imagining something without action makes it just another idea. I learned a long time ago that women aren’t as innocent as they appear just as Trump ain’t as stupid. However, they both fake it well. Have you ever noticed that the only phones that get answered today are the ones in a TV series? Who decided that globalization is a good thing, big business, and politicians? We trust them; they won’t put the price of medication, gas, and interest rates up right? So the Yankees and Sox are at it again huh as the Sox take the opener. How can you not tear up watching videos of military parents reuniting with their kids as a surprise? #GeosMediaBlog above tells the tale of #HOFnewsmen. #GeosLifeLiners then shine a light on #Trump, #Charities, #Money #Trudeau and #Lawyers. 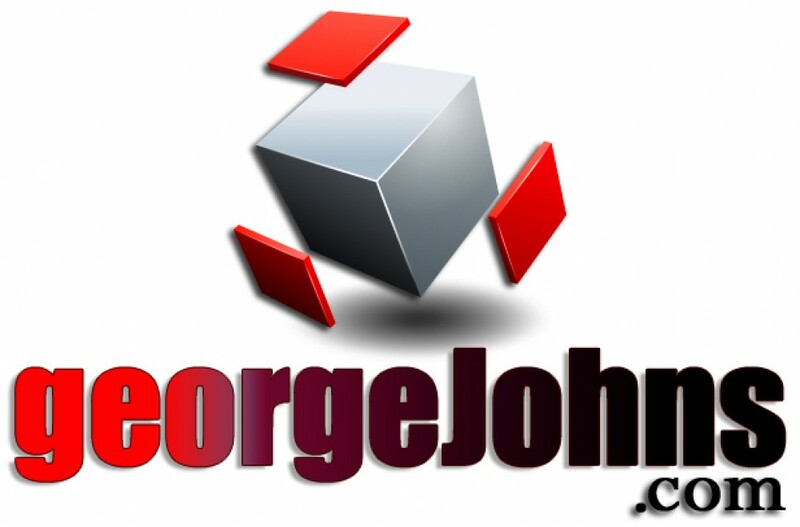 Much much more @ GeorgeJohns.com. On Twitter@GeoOfTheRadio. If you wish to subscribe to Geo’s Media Blog, just put your email address in the comment section below. Sharing and commenting is appreciated. Andy was paired with Ben Laurie while I was at KVIL and & he & I enjoyed several lunches and many good conversations. Andy was so confident in his intelligence that he felt no need to prove it to anyone, so our conversations (with me mostly listening) consisted of stories that showed a high level of knowledge & understanding paired with deep insight. When we were sitting in a Deli in University Park, Andy taught me the proper pronunciation of Gefilte Fish. When KVIL started charging for parking, Andy left the memo on Dave Spence’s door with the typed note: “Thank you for helping KVIL make another million.” Spence went around to all of the typewriters to find the culprit. Andy was a great newscaster and a very good guy. Andy was one of a kind and also one of my all-time favorites. I remember hosting a KVIL morning show in the late 80’s and wondering at 6.15 about our scheduled 6.20 newscast, since Andy McCollum had yet to arrive. When he walked in about 6.19, I hit the intercom and asked if he wanted me to scrub the 6.20. He said “No, I’ll be ready.” I introduced him as my song faded at 6.20, and Andy proceeded to do a newscast that sounded every bit as good and prepared as all the rest! An amazing guy and fun to work with. Saw Andy last at one of our KVIL reunions, and like Bob Morrison who you mentioned, and even the legendary Ben Laurie, miss them all personally and professionally. What a staff huh Bill, nobody had a chance against them. George – I don’t know who Hollis Duncan is and he certainly doesn’t know me or the story he attaches to me. While I was there, we never charged for parking. What he is referencing was when we went up on the cost of cold drinks (5 or 10 cents as I recall) from the “Coke” machine. The note was on newsprint which was only used in the- wait for it – news room. I agree that Andy was a great newsman. Very well educated, expansive vocabulary, and voice inflection that left no doubt what side of the story he was on. I don’t know Hollis either Dave, and I can’t imagine how you would be able to charge for parking when we didn’t own the parking lot? As you said, we all knew where Andy stood on a story but good luck on suing him for pauses and inflections. It’s no wonder most of the KVIL staff is in the Hall Of Fame. I’m writing KVIL’s obituary at the moment, standby.